Denizen, the word has some kind of aura, and I need to admit it. I was descending into the world of Longfellow, and don't know when I encountered with this word. 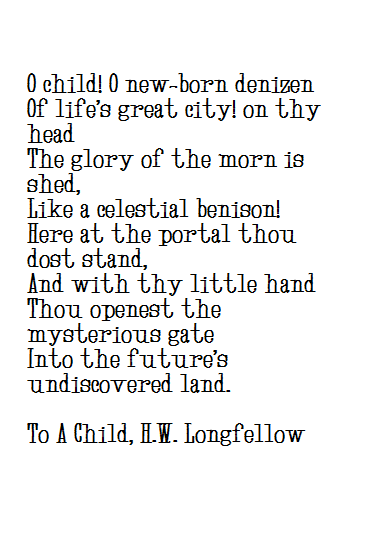 I was reading Longfellow's To A Child, a poem from his 1845s collection, The Belfry of Bruges and Other Poems. I just quickly ran through my Merriam Webster to know more about the word, and it says, noun; a person, animal or plant that lives in or often found in particular place or region. But this denotation, does not appeal to my senses. I think real meaning of denizen is somewhat different from this vague interpretation. Deducing from this text and other text on internet, I found, Denizen is about the wilderness, wanderlust, naive, or pure side of the being. The BEING could be anything else and it can also be you. Though according to dictionaries, both citizen and denizen have same meaning. And can be used interchangeably. But if you don't look at the dictionary definitions, the word "Citizen" is quite different from the word "Denizen". As I just told you in previous lines, DENIZEN is somewhat associated with wilderness and naivety. On other hand, citizen is about pride, obligations, and society. There are some rules laid for being a citizen, and you need to abide by them. But there are no rules for a denizen. And there is only one rule for them, live and let live, find your space and voice and let other also have them. Note: Nowadays, I am in state of blues, and I really don't know what to write. So if you find this vacuous, please do expect something like this, also in near future.